The Finecolour Sketch marker offers outstanding performance in all areas of manga, graphic, design and illustration. 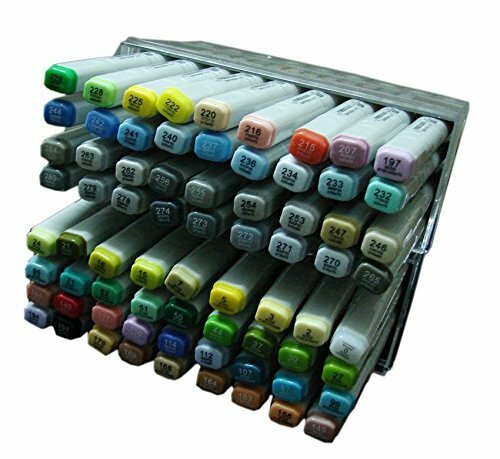 The Sketch Markers are perfect for cartoon illustration, as well as fashion design. The Finecolour Sketch marker has a brush nib and a broad nib. Two versatile tips produce a range of strokes from fine lines to wide color fills. The roll-proof flat barrel is filled with alcohol based ink for a long life. Fast-drying, permanent, non-toxic, and toner compatible. Finecolour Sketch Markers are awesome, markers are high quality marker available anywhere. Including 192 colors available . If you have any questions about this product by Lanxivi, contact us by completing and submitting the form below. If you are looking for a specif part number, please include it with your message.